Among the top ten references for PPD and published by Springer in May '08, this book offers chapters by 15 different renown experts in women's reproductive mental health from many related disciplines; all of whom contributed their time and expertise to this groundbreaking text. Any royalties generated go to support Postpartum Support International. The book has been acquired by many renown medical and healthcare educational programs/institutions around the world. Published by Springer in June '06, this unique educational offering was the first of its kind to address the application of CBT in clinical social work. With foreword by Aaran Beck, experienced practitioners guide you through the process of successful, appropriate CBT interventions. Ms. Stone's much referenced chapter on Dialectical Behavior Therapy was contributed to the text to help educate future clinicians; she receives no financial remuneration from the sale of either book. is the most widely viewed and frequently downloaded public domain educational PPD Powerpoint Presentation in the world. Facilities have relied on its useful information, practical advice and sensitive exploration of issues to inform the development of their own PPD programs. Ms. Stone donated this presentation to the public domain; it may be downloaded as you wish as long as reference materials stay intact. This original article may not be copied in part or whole, or reproduced in any manner without the express permission of the author and appropriate reference. Statistics on the prevalence of perinatal mood disorders suggest that up to 22% of women experience diagnosable postpartum mood disorders (Ahokas, Aito, Kaukoranta, Wahlbeck, 2001). Percentages of this group with co-morbid or multi-axial diagnoses have been less quantified, but diagnostic information of participants in PPD treatment trials frequently reference co-morbidities (Klier, Lenz, Muzik, Rosenblum, 2001; James, 1998; Corral, Milis, Misri, Reebye, 2004) including anxiety disorders, bipolar and adjustment disorders, eating disorders, PTSD, substance abuse, personality disorders and additional psychosocial and medical stressors. It has been proposed that patterns of symptoms in women with postpartum depression are similar to those unrelated to childbirth (Parry, Pointek, Wisner, 2002). In women suffering from MDD it is estimated that up to 60% suffer from co morbid disorders (U.S. Department of Health and Human Services,1999). It could therefore be reasonably concluded that multi axial diagnostic presentations would be proportionate to or even more likely along the PPD spectrum as the combination of rapid, extensive biological shifts emanating from pregnancy and birth, combined with profound psychosocial challenges requiring skillful management may provoke presentation of previously untreated co-morbid disorders. The search for effective protocols continues due to the paucity of studies-most of which are based on short-term treatment for postpartum depression only-involving significant numbers of postpartum women, utilization of appropriate controls and substantiation of gains through sufficient follow up (Dennis, 2004). While the demonstrated effectiveness of current short-term treatment models in relieving symptoms of postpartum depression is not challenged here, it is suggested that untreated co morbid disorders subvert retention of treatment gains and may be a contributing factor in prolonging the primary affective episode. Medication interventions have been found to offer consistent, if uneven, relief when initiated early and appropriately extended (Hanusa, Perel, Sunder, Wisner 2004). Despite comprehensive studies indicating low risk of infant exposure to medications taken by breastfeeding mothers and emphasizing the further risks of untreated maternal depression (Aamo, Berle, Breilid, Spigset, Steen, Zahlsen (2004); Ablon, Bouffard, Cohen, Collins, Morabito, Nonacs, Viguera (2001) reluctance continues in some breastfeeding mothers to consider medication (Kopelman, Stuart, 2005; O�Hara, Segre, Stuart, 2004; Dennis, Stewart 2004). This issue further emphasizes the need to offer effective or concurrent alternative treatment to either support reluctant medication compliance or continuously monitor symptoms where medication is refused. Several forms of group therapy have demonstrated short-term gains in the treatment of postpartum depression including: psychoeducational support groups facilitated by mental health professionals, psychoeducational and socialization groups facilitated by peers or other professional care givers, telephonic support, and group treatments emphasizing a cognitive behavioral approach, (Dennis, 2003; Kopelman, Stuart, 2005). Individual support through home visits, individual psychodynamic psychotherapy or individual reinforcement of cognitive behavioral skills also offer postpartum recovery support (Cox, Holden, 2003). However, the initial reduction of symptoms achieved by these singular or concurrent treatment protocols appears to wane in follow up (Dennis, 2004; Dennis, Stewart, 2004) and it is again suggested that their singular focus may exclude recovery assessment for co morbid disorders. Studies evaluating association between the duration and frequency of supportive psychotherapy, cognitive behavioral approaches and psychopharmacological intervention and postpartum retention of gains (Huysman, 2003) appear to support the proposal that longer and more specifically focused treatment is needed to sustain postpartum recovery. The specific etiology and recovery tasks of postpartum spectrum disorders among multi axial presentations infers that optimal treatment for high risk multiaxial patients might be best introduced when biologic vulnerabilities first present (pregnancy) and continue well into the postpartum period. Dialectical Behavior Therapy may be an effective treatment choice for adaptive consideration in the treatment of multi axial postpartum disorders as the model comprehensively responds to the multi axial needs described above. DBT�s structured manualized components give specific attention to multiple issues associated with multiaxial recovery tasks in the biopsychosocial realm and have consistently demonstrated efficacy in ameliorating multi-axial symptoms co-morbid with depression. The DBT model includes many therapeutic features of the interventions described above including: task oriented focus, psycho education, supportive individual and skills based group treatment and telephonic support. The multidisciplinary team work integral to its delivery and a crucial treatment component during the postpartum period (Huysman, 2003) has not been emphasized in other models. In addition, DBT�s unique dialectic perspective of assigning recovery responsibility-but not blame-to clients helps reduce the treatment barriers of shame and societal stigma so often noted in postpartum women (Bennett, Indman, 2005). Originally developed by Marsha Linehan for treatment of borderline personality disorder, Dialectical Behavior Therapy (Linehan, 1993) quickly demonstrated success in reducing self-harm, inpatient days and treatment attrition in outpatient settings for this population (Dimeff, L., Koerner, K., & Linehan, M.M., 2001). These impressive victories led to program modifications for other populations where behavioral containment or skills deficits in management of life tasks were prominent associated deficits (such as in eating disorders and substance abuse) with equally encouraging results (Wisniewski, Kelly, 2003). Findings have suggested that DBT may be adapted for other disorders in which dysfunctional behaviors serve to regulate emotions (Dimeff, Koerner 2000) or where skills deficits impede recovery. While substantiation of DBT�s application to postpartum depression is limited in this article to presentation of one case study and theoretical application, DBT�s value as an effective model for treatment of multiaxial diagnoses has been well-substantiated (Dimeff, Koerner, Linehan, 2001). For this reason, it is likely that many practitioners have already begun incorporating its strategies in the treatment of postpartum depression. Dialectical Behavior Therapy in its complete conceptualization is a year-long, comprehensive, manualized, multi-modal treatment which includes group skills training, individual therapy, telephone coaching calls, interdisciplinary teamwork, ongoing client/therapist appraisal and client homework reinforcing skills generalization. DBT�s underlying Biosocial theory-that biology and environment are co-conspirators which can overwhelm coping systems in vulnerable individuals when perceived or actual invalidation produces sufficient tension-appears to offer unique alignment with the presumed etiology of postpartum mood and anxiety disorders (Dennis, 2004) as well as in the etiology of disorders associated with trauma (Van der Kolk, McFarlane, Weisaeth 1996). Following is a brief overview of DBT�s components and tools (Stone, 2006). A thorough explanation of the model may be found in Linehan�s text, Cognitive Behavioral Treatment of Borderline Personality Disorder (1993) and the accompanying skills book Skills training manual for treating borderline personality disorder (1993, updated, in press, 2006). DBT�s cognitive behavioral rootedness may necessitate further formal study if there has not been prior clinical experience with CBT. Additional information on training and resources may be found at (www.behavioral-tech.com). INDIVIDUAL DBT THERAPY supplements skills group training by offering personal attention to treatment goals, (prioritized by those affecting life, therapy and quality of life, selection of target behaviors and discussion of therapy interfering behaviors. THE DBT SKILLS TRAINING GROUP delivers the didactic program components and meets weekly for up to two hours, gaining its structure and direction from the text�s companion skills training manual. Modules include Core Mindfulness, Emotion Regulation, Interpersonal Effectiveness and Distress Tolerance. This is not a psychotherapy group, but a forum for discussion of skills generalization. CORE MINDFULNESS introduces the dialectic thinking resulting in Wise Mind in which practical and emotional needs negotiate a satisfactory solution to a problem. The dialectic view validates the emotional discomfort of changing behaviors while offering clear consequences to avoidance. EMOTION REGULATION offers skills to decrease suffering, reduce vulnerability and understand emotional interplay with environment (Linehan, 1993b). INTERPERSONAL EFFECTIVENESS proposes methods of negotiating with self/situations and others, challenging clients to tolerate the discomfort of transactions while maintaining the self-respect of Wise Mind. A hierarchy for determining the value of keeping relationships and self-respect while achieving situational objectives is presented. DISTRESS TOLERANCE helps clients develop a �DBT toolbox� of skills, which may be resourced during emotional emergencies. Clients are taught that engagement in multisensory activities,i.e. those engaging sight, smell, and taste, sound and touch increase effectiveness when the goal is to reduce emotional escalation. COACHING CALLS assists with skills generalization and offers additional support between sessions. The call�s purpose is to review the current issue, identify applicable skills and construct a containment plan. In this way, therapist attention rewards attempts at adaptive behaviors, while discouraging the association between destructive behaviors and therapist response (Ben-Porath, 2004). Full implementation of DBT exacts a high commitment from clients and therapists alike, but is currently the treatment of choice for multi-axial presentations. For the multi axial perinatal participant, it may be possible to integrate skills training with supportive individual therapy, or introduce a homogenous group of postpartum women to DBT group skills training. Moderate stabilization of mood, absence of active suicidality and psychosis are important evaluative considerations prior to initiation of DBT. Target behaviors should be prioritized according to those affecting life of mother and infant, therapy and quality of life. Telephone coaching calls may be a more frequent resource in this population as the multiple tasks of motherhood and self-other renegotiation may necessistate more therapist/client interaction between sessions. Including the pediatrician as well as the obstetrician as part of the referent recovery team may be crucial in this population as the pediatrician may be the most frequent observer of the mother�s mood outside of therapy after birth. Finally the consistent context of the dialectical perspective to reduce shame resulting in treatment withdrawal and isolation is an important program component. One study which sought to evaluate the contributions of individual program components, found that clients who perceived their DBT treatment to have been of value most emphasized the importance of the working client/therapist relationship citing the nonjudgmental and validating qualities of their therapist as helping to create the environment for change (Cunningham, Wolbert, & Lillie, 2004). While attempts to analyze the efficacy of partialized DBT yield inconsistent results when modularized, more consistent findings emerge when key philosophies are implemented across treatment contexts. Sheel(2000) suggests that consideration of partialized DBT must include the responsible integration of its guiding principals and philosophy. And, Linehan (2000) notes that the emphasis on balance and change can take many forms, limited perhaps only by the ingenuity and creativity of the therapeutic community. The setting for this postpartum psychotherapy group of eight women was facilitated by a mental health professional intensively trained in DBT was the outpatient program of a large regional medical center. This group of eight women, five of whom were medicated, met 90 minutes weekly for five months and ranged from six weeks to five months postpartum. All eight women were receiving additional individual therapy on alternate weeks or PRN. Average session size was six women. After an overview of Dialectical Behavior Therapy, group members were asked if introduction of skills would be of interest to them. Consensus was unanimous and the dialectic nonblaming biosocial theory well appreciated. Issues presented included �finding myself again�, and �who am I�, practical issues of parenthood requiring task specific solutions such as time management, self-care, remediation of dysfunctional family transactions, decision making, marital issues, assertiveness building, boundary setting and reduction of shame and negative self-concepts. In addition, group members expressed a renewed motivation to confront long standing dysregulatory disorders in order to more effectively parent their child. Finally, the opportunity to relate their individual birth story to a compassionate group of peers was also instrumental in achievement of group cohesion (Stone, 2003). After two months, most group members appeared to enjoy sharing successful examples of skills application which served as continuous group motivation. Each participant developed an individualized �tool box� of DBT skills which usually included some skills and behaviors from all four DBT modules and corresponded to attempted reduction of target behaviors determined in individual therapy. While this eclectic approach to treatment disallows a reference to DBT as the sole source of treatment gains, the inclusion of the DBT dialectical perspective combined with its attention to development of both social and self-assessment skills was found to be validating to the group and empowering of sustained treatment gains. Additional factors in verbal self-reports by participants included the nonjudgmental acceptance of group members, the consistency of the treatment, the quantity of the treatment (2 hours per week including individual sessions and occasional coaching calls), the appeal of the treatment (relief from black/white thinking through Wise Mind and the psychoeducational component which helped postpartum women understand the complicated interplay among biological changes, emotions and environment. Clearly directed homework specifically tailored to accomplishment of new tasks related to motherhood and remediation of long standing behavioral issues was also reported. The individual sessions and specifically the use of the diary card as a baseline measurement for mood changes were also described as highly useful. During the early weeks of recovery when gains seemed subtle or lacking, clients were able to compare weekly diary cards and notice improvements in mood and emotions from week to week. Dialectic Behavior therapy is an empowering form of treatment which seeks to foster acceptance balanced with change and enhances the cognitive behavioral association. Its Biosocial theory appears to be compatible with the biopsychosocial factors thought to fuel ppd spectrum disorders and is supported by research in the etiology of emotion dysregulation disorders including PTSD� Its modular multi-layered approach allows concurrent targeting of Axis I and attendant Axis II diagnosis which are often present in perinatal disorders. Its non-blaming view helps reduce client shame, often a latent but profound barrier to successful treatment in this population, thereby increasing potential for the strong therapeutic alliance needed to affect change. Client retention for DBT participants tends to be high. Dialectical Behavior Therapy, which engages vulnerable individuals early in its treatment cycle by acknowledging suffering and the intensity of the biosocial forces to be overcome and then attending to resulting symptoms, appears to be a model very congruent with the recovery needs of postpartum women suffering from mood disorders and other diagnostic issues. It delivers an empathic and empowering roadmap to self-discovery, self-management and enrichment of life as a new mother. While further studies of DBT�s application to this population are encouraged to substantiate suggested theory, it has been extensively validated as an efficacious treatment for multi axial presentations (Chapman, Robins, 2004). Additionally, Dialectical Behavior Therapy could be an important component of a perinatal primary prevention program concurrent with prophylactic medication for women at high risk as it offers a comprehensive response to the profound and inevitable biopsychosocial challenges accompanying motherhood while its proposed length of treatment (one year) could offer additional protection across the perinatal spectrum. While the high level of commitment needed to optimize effectiveness of this comprehensive model may seem daunting, its potential for containment and resolution of multiaxial disorders in the postpartum population-as compared to the risks of no treatment or under treatment-warrant its serious consideration. DBT�s multi level context offers rich therapeutic opportunities to address longstanding clinical or sub clinical issues. The postpartum mother�s often intensified treatment motivation-fueled by her desire to more effectively parent her beloved infant-will find ample opportunity within the DBT framework to repair many long-standing affective and behavioral issues. Her journey may result in the concurrent benefit of her own emotional rebirth. Aamo, T.O., Berle, J.O., Breilid, M., Spigset, O., Steen, V.M., Zahlsen, M. (2004). Breastfeeding during maternal antidepressant treatment with seratonin reuptake inhibitors: infant exposure, clinical symptoms and cytochrome P450 genotypes. Journal of Clinical Psychiatry. Vol 65 pps 1228 - 1234. Ablon, S., Bouffard, S.M., Cohen, L.S., Collins, M.H., Morabito, C., Nonacs, R.M., Viguera, A.C.(2001). Venlafaxine in the treatment of postpartum depression. Journal of Clinical Psychiatry. Vol. 62, pps 592-596. Adams, E., Fisher, Y., Owen, C., Reay, R., Robertson, M., (2006). Group interpersonal psychotherapy for postnatal depression: a pilot study. Archives of Women�s Mental Health. Vol. 9 (1) pps. 31-39. Ahoka, A., Aito, M., Kaukoranta, J., Wahlbeck, K., (2001). Estrogen deficiency in severe postpartum depression: successful treatment with sublingual physiologic 17?-estradiol:a preliminary study. Journal of Clinical Psychiatry. Vol. 62, pps 332-336. Bennett, S.S., Indman, P.(2003).Beyond the blues: a guide to understanding and treating prenatal and postpartum depression. San Jose, CA: Moodswings Press. Ben-Porath, D. D. (2004). Intersession telephone contact with individuals diagnosed with borderline personality disorder: lessons from dialectical behavior therapy. Cognitive & Behavioral Practice V 11 (2) 222-230. Corral, M., Milis, L., Misri, A., Reebye, P. (2004). The use of paroxetine and cognitive behavior therapy in postpartum depression and anxiety: a randomized controlled trial. Journal of Clinical Psychiatry Vol 65, pps 1236-1341. Cox, J. Holden, J. (2003). Perinatal mental health: a guide to the Edinburgh postnatal depression scale. Glasgow, U.K.:Bell & Brain Limited. Cunningham, K., Wolbert, R., Lillie, B., (2004). It�s about me solving my problems. Cognitive & Behavioral Practice. V 11 (2). 248-256. Dennis, C.E. (2003). The effect of peer support on postpartum depression: a pilot random controlled trial. Canadian Journal of Psychiatry. Vol 48, pps 115 - 124. Dennis, C.E. (2004). Treatment of postpartum depression, part 2: a critical review of nonbiological interventions. Journal of Clinical Psychiatry.Vol. 65, pps 1252-1265. Dennis, C.E., Stewart, D.E.(2004). Treatment of postpartum depression, part 1: a critical review of biological interventions. Journal of Clinical Psychiatry, Vol 65, pps 1242 - 1251. Glover, V., Kammerer, M. (2004). The biology and pathophysiology of peripartum psychiatric disorders. Primary Psychiatry. Vol 11 (3), pps 37-41. Howard, M., Johnson, S.L., Miller, I.W., Pearlstein, T., Zlotnick, C. (2001). Postpartum depression in women receiving public assistance: pilot study of an interpersonal-therapy-oriented group intervention. American Journal of Psychiatry. Vol 158, pps 638 - 640. Huysman, A.M., (2003). The postpartum effect. New York: Seven Stories Press. James, K. (1998). The depressed mother. London, UK:Cassell Wellington House, pp. 23-25; pps 123-139. Klier, C.M., Lenz, G., Muzik, M., Rosenbluem, K.L. (2001). Interpersonal psychotherapy adapted for the group setting in the treatment of postpartum depression. Journal of Psychotherapy Practice and Research. Vol 10, pps 124-131. Koerner, K. & Dimeff, L.A. (2000). Further data on dialectical behavior therapy. Clinical Psychology: Science and Practice 7 104-112. Kopelman, R., Stuart, S. (2005). Psychological treatments for postpartum depression. Psychiatric Annals, Vol 35 (7), pps 556 - 566. Linehan, M. M. (1993). Cognitive-behavioral treatment of borderline personality disorder. New York: The Guilford Press. Linehan, M. M. (1993). Skills training manual for treating borderline personality disorder. New York: Guildford Press. Linehan, M. M. (2000). The empirical basis of dialectical behavior therapy: development of new treatments versus evaluation of existing treatments. Clinical Psychology: Science and Practice 7 113-119. Linehan, M.M. (2000). Commentary on Innovations in Dialectical Behavior Therapy. . Cognitive & Behavioral Practice. V 7 (4). 478- 481. Palmer, R. L., Birchall, H., D., Amani, S., Gatward, N., McGrain, L., Parker, L. (2003). A dialectical behavior therapy program for people with an eating disorder and borderline personality disorder - description and outcome. International Journal of Eating Disorders 33 281-286. Parry, B.L., Piontek, C.M., Wisner, K.L.(2002). Postpartum depression. New England Journal of Medicine, Vol. 347, No. 3, pps 194 - 199. Robins, C. J. (2000). Expanding applications of dialectical behavior therapy: prospects and pitfall. Cognitive and behavioral practice. Vol 7 (4) 481-484. Stone, S.D. (2006) Using dialectical behavior therapy in clinical practice. 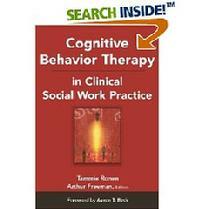 In T. Ronen & A. Freeman (in press) (eds): Cognitive Behavior Therapy in Clinical Social Work Practice. New York: Springer Press. U.S. Department of Health and Human Services (1999). Mental health: a report of the surgeon general - executive summary. U.S. Department of Health and Human Services, Substance Abuse and Mental Health Services Administration, Center for Mental Health Services, National Institutes of Health, National Institute of Mental Health. Rockville, MD. Van der Kolk, B.A., McFarlane, A. C., Weisaeth, L. (1996). Traumatic stress; the effects of overwhelming experience on mind, body and society. New York: The Guilford Press. Wisniewski, L., Kelly, E. (2003). The application of dialectical behavior therapy to the treatment of eating disorders. t 131-138. This article was reprinted with permission from the New Jersey Psychological Association. The original article appears in their publication, The New Jersey Psychologist, Volume 56, Number 3, Summer 2006. 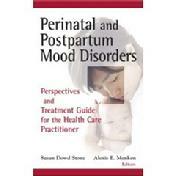 Special thanks to Alexis Menken, PhD, for editing the journal�s special section on Postpartum Mood Disorders.